Where is the Nearest Airport? Nearest hotels? I have never snorkeled before or do not know how to swim! Snorkeling is one of the easiest ocean activities you will ever do and our crew are extremely patient and experts in teaching you how! We also have plenty of flotation devices, and if you are a non-swimmer please let us know ahead of time so we can make special preparations. Our captains and crew work very hard at making your tour enjoyable, informative and fun so a bit of reward is a welcomed and appreciated gesture. A typical $10 - $20 per person who goes on the tour is customary. Remember they are entertaining you for several hours, more than any waiter or bartender you encounter. We have a strict 48-hour cancellation policy. No refunds within that time frame.  However if we happen to cancel due to ocean conditions then you will recieve a full refund. Any restrictions on who can go on the tour? Due to the sometimes bouncy nature of our ride, people with bad backs, older people who are frail, and children under 5 years old are not to take our tour. Also, we do not allow pregnant women on our tours. Also due to the small ladder on the boat required to enter the boat, we cannot take anyone who is 250 lbs or more. Are there restrooms on the boat? Unfortunately our boat is not equipped with any restrooms. The only restrooms nearby are at the Harbor that we depart from. Due to how far we will travel by boat we will be unable to go there until the end of the tour. Will I get sea sick? Our vessel is quite stable and has a tendency to cause less seasickness than other types of boats. However, if you are prone to any motion sickness please take the necessaryprecautions before hand. Does the boat have shade? Our boat is equipped with a bimini top that we put up when the boat is stopped. Will I see dolphins, turtles, and whales? Our crew know these waters well and do their best to find all sorts marine life, dolphins, octopus, turtles, rays, and eels. Unfortunately as they are wild animals we cannot guarantee any particual animal sightings. 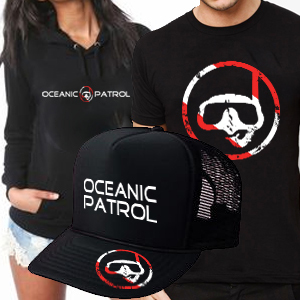 Grab some Oceanic Patrol Merch!